With the introduction of the LG Watch Urbane to the Google Store moments ago, Google has also gone ahead and dropped pricing on the LG G Watch R and the Moto 360. The G Watch R dropped from $299 to $249, and the Moto 360 was slashed from $249 to $179. 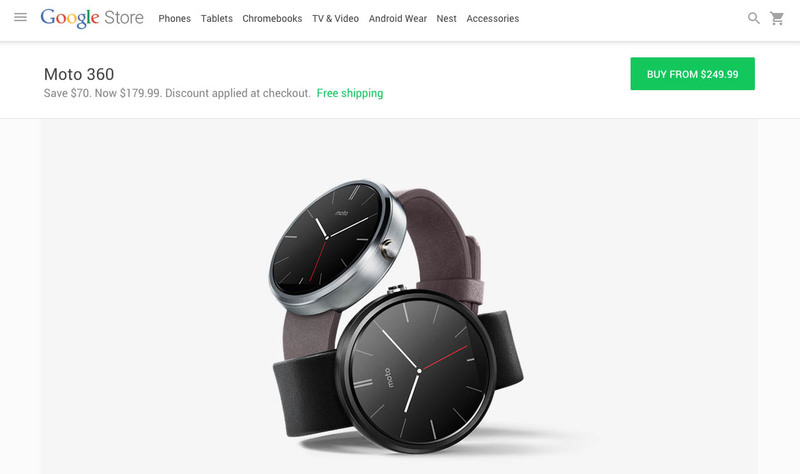 Pretty solid savings on two of the top Android Wear devices available. Hopefully, these discounts actually stick around for more than a couple of days. Free shipping is included with all orders.